We Share The Same Skies. A recent CBS News piece drew criticism for its troubling presentation of Iceland's current pregnancy termination rates. 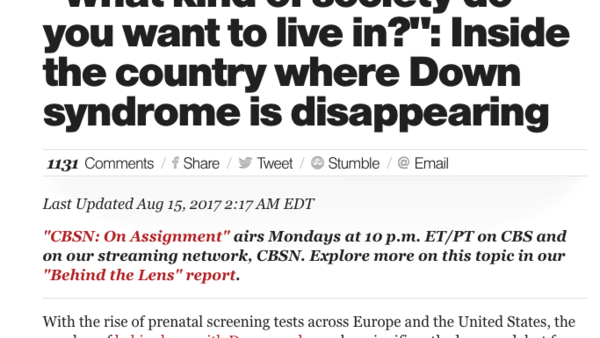 It appeared to tacitly endorse 'eradicating' Down's Syndrome (ahead of some hasty second-day edits), without thinking of actual people that currently have it, or future babies born with it. The organisation's promotional tweet was even worse. 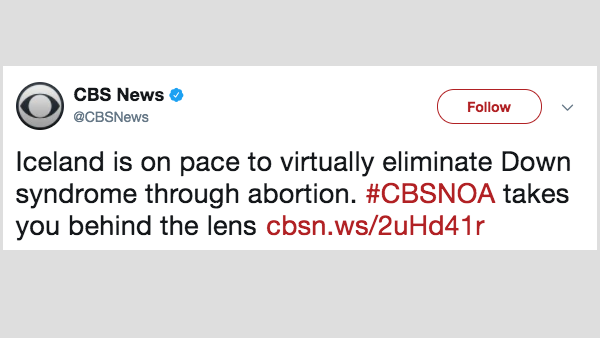 With only 140 characters, CBS elected to ignore intricacies and attach a competitive element to an evocative and complex situation. 'On pace' caustically stung, exhibiting more disappointing naivety from a global news media that has a responsibility to treat people with Down's Syndrome with far more respect and ensure their readers do the same. Of course, those within that bubble probably don't even know this. They don't know of constantly evolving world accommodating those with all ranges of additional needs, not least those with Down's. That's not implied with critical judgment - I had to learn of these and other realities from scratch myself. 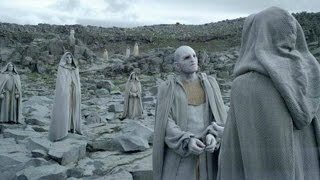 I steer away from personal pronouns when writing elsewhere on this site, but with apologies may be required to drop the odd one here. As a father of a son with Down's, I fear many will never grasp significant social, economical and anecdotal arguments over the condition whilst getting lost in a fog of scientific 'progression' and borderline eugenics. Whether pro-life, pro-choice or pro-don't know, termination is literally a decision of life or death. It should not - and can not - be made without a more even-handed dissemination of information.